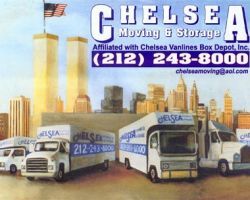 The movers and packers at Chelsea Moving & Storage all have years of experience in the business. Whether you are looking to hire a company for a residential or commercial move, this team is ready for anything. They have used their years of experience to create the most organized and efficient system of relocating. One of the best things about working with this company is the friendly service that you will receive. You will not feel any stress knowing your possessions are in the hands of these moving experts. Moving from one home to another can be stressful enough but moving in New York adds another level of anxiety that is completely eliminated when you work with Hudson Moving & Storage Co., Inc. 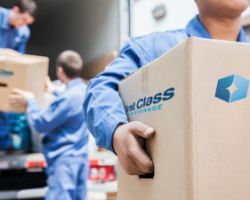 This company offers simple, organized moving solutions for any relocation to a new apartment, different office space or to a completely new home. On top of being able to get you settled into your new place, this company can also keep your things in storage until you need them. A-1 First Class offers nationwide moving services or local relocation assistance that is always careful, organized and professional. This expert team has experience moving larger and more valuable furniture such as a piano as well as smaller items that are fragile or could easily be lost in the chaos. As house movers, the team at this company knows that everything they are moving is special to you and why they treat all of your belongings as if they were their own. 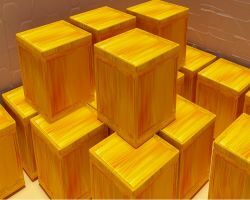 Of the moving companies in New York City, NY, the experts at Intense Movers work efficiently to move you as quickly as possible and they also do so at affordable prices too. 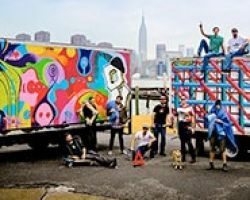 Moving is never cheap and is often stressful but it doesn’t have to be when you choose to work with these New York City movers. As a team, this company makes sure that all of your belongings are cared for and are totally organized so you can relax knowing everything you own is in the most capable hands. 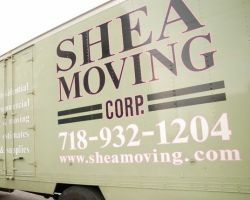 Shea Moving offers free estimates even before you decide to work with them. This company has nothing to hide and want to be up front with all potential clients about their skills, reputation and pricing. This is something rarely found being offered by a local moving company and something that customers have thoroughly enjoyed according to reviews. With hourly rates per mover, you can almost choose how much you would like the move to cost and how quickly you would like the job to be completed.